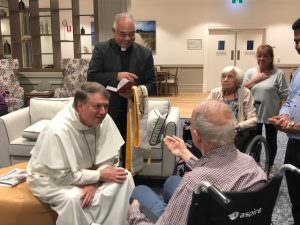 Catholic residents at our Brighton-Le-Sands home were treated to a visit from Archbishop Anthony Fisher last week. 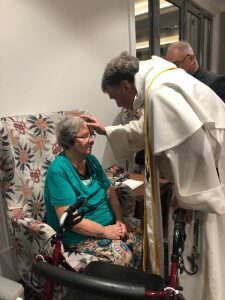 Those in attendance were very excited to meet him, with some even being brought to tears by the surprise. 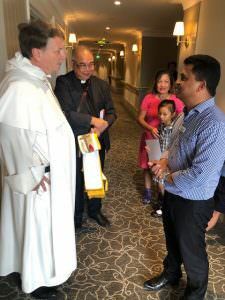 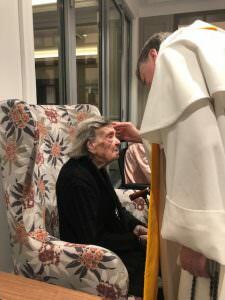 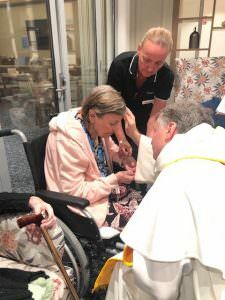 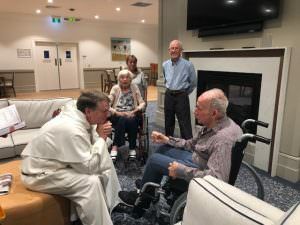 Archbishop Fisher was kind enough to spend some one-on-one time with each resident and listen to their history, and following this, shared prayers and performed blessings on those who wished to partake. 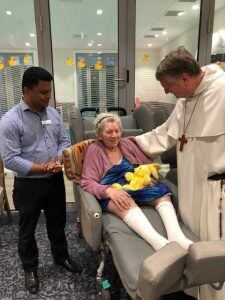 He also visited some of our other residents who weren’t able to make it to the gathering in the lounge area. 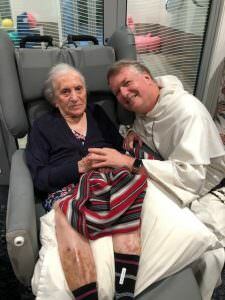 Archbishop Fisher made a lasting impression on a number of our residents including Grazia, who was able to speak with him in Italian, and Benjamin, a Jewish resident, who was very excited to share his experiences with the archbishop.